We'll have a table at the next Atlanta Comic Convention on Feb. 2 at the Marriott Century Center on 2000 Century Blvd., Atlanta, GA. 30345. 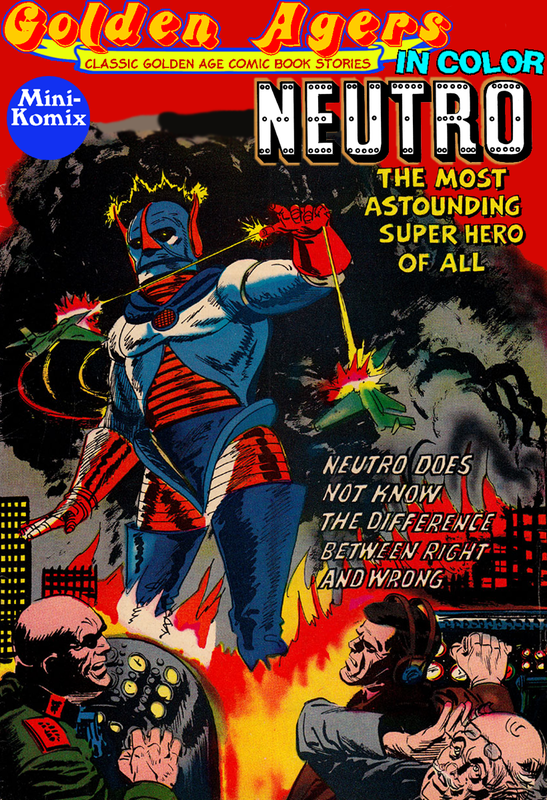 Golden Agers brings you the first ever American giant robot comic book, NEUTRO! Yes, THAT Neutro(and IN COLOR)! The original sci-fi tale of two scientists who find strange alien hardware buried under the Earth, and use that technology to build the colossal mecha, Neutro. But will this amazing super robot be a savior to mankind, or an instrument for the forces of evil? Switch on to this rare find for all fans of super-science and adventure! You can download this at Drive Thru Comics. Have you punched Hilter today? Don't you think you aught to? 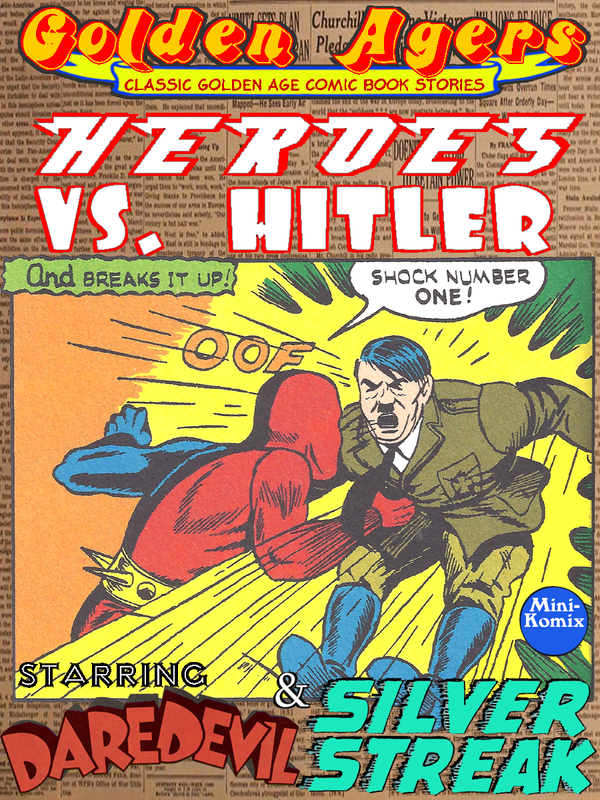 We fill your Hitler-punching fix with the original Daredevil and Silver Streak teaming-up to stop the Nazis during WWII. Plus, the superhero Spy Smasher smashing the Nazi spy, The Faker. We also get the fearless Phantom Eagle searching for the mystical Golden Mace to thwart the Third Reich's quest for further treasures. Ace Rogers projects England. Pacific Patrol searches for invaders. Captain Marvel Jr. fights Captain Nazi. Derry Dreamer envisions helping the allied forces as an ace pilot. Golden Lad confronts German spies pretending to be vikings. Along with the secret origin of Pat Parker-War Nurse. Catch this and more stories from Golden Agers! 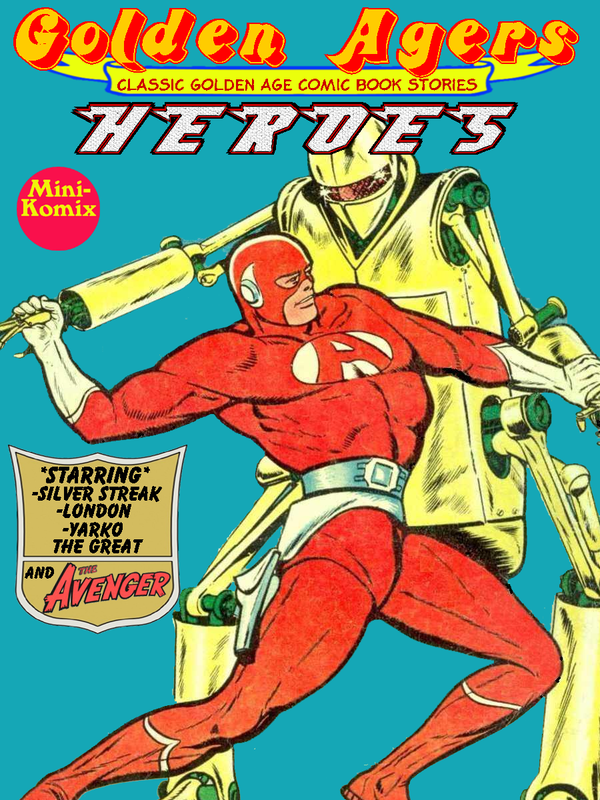 You can download this new Golden Agers comic for free at Drive Thru Comics and Lulu.com. Golden Agers brings the champions of justice back to challenge the forces of darkness. We've got Yarko the Great, Silver Streak, Thunda, The Shadow, Star Pirate, Flint Baker, Mr. Scarlet, Sky-Bolt Kid, The Avenger, Streamline, Dan Turner, Stuntman, Blue Bolt, The Target and The Targeteers! Sit back and enjoy some of the best superhero comics that the Golden Age has to offer. You can get it at Drive Thru Comics and Lulu.com.